B-town's ‘Bajirao’, Ranveer Singh to Host Life OK (Star Bharat) Reality Show, 'Om Shanti Om'! Life Ok is coming up with a new music reality show titled 'Om Shanti Om' which is based on devotional music and will include our Dabangg Girl, Sonakshi Sinha, music composer Shekhar Ravjiani and ‘Baby Doll’ singer Kanika Kapoor. 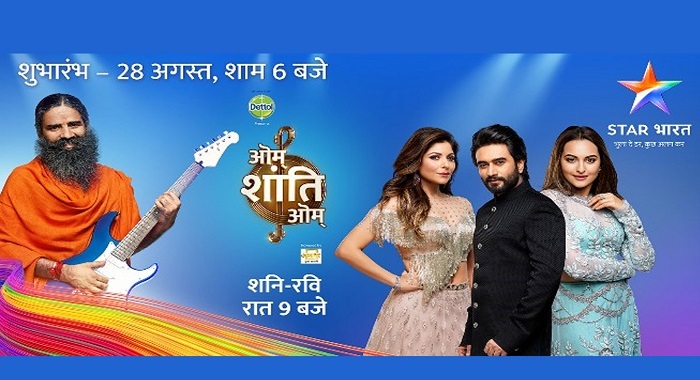 The show will represent the journey of 14 contestants with a contemporary touch to devotional songs and will surely unify audiences across the country with their performances. The show will witness our Ayurvedic Guru Baba Ramdev as maha guru and will be seen judging the singing skills of the contestants. And the good news is, for the Grand Opening of the show, Ranveer Singh has been approached to host the first episode and later on actor Aparshakti Khurana will take over as host. The Bajirao actor will be seen performing on one of the songs from his movie Bajirao Mastani in the first episode. Ranveer Singh has always shown his versatility in his movies but and his fans are eagerly waiting to witness him in Sanjay Leela Bhansali’s upcoming project Padmavati starring his Ramleela Co-star Deepika (Padukone) and Shahid Kapoor in pivot roles. To end their wait until November (expected release month of the movie Padmavati), Ranveer Singh is ready to surprise his fans with his hosting skills and his sense of humour in the upcoming reality show. Star Bharat is the new name of the Channel Life OK and the show will be aired on Star Bharat from August 28 at 6 pm.